One hundred fifty years ago, Abraham Lincoln was president and the U.S. Civil War began. To this day, even after all the years, after all the forests of papers and books written on subject, there is still a debate – or denial – about the cause of the Civil War. The Georgia Historical Society’s 2011 statement about the cause of the state’s 1861 secession may have been “one of the first official recognitions in the state, at least in modern times, that slavery was the overarching reason for secession,” according to the society’s president, Todd Groce. 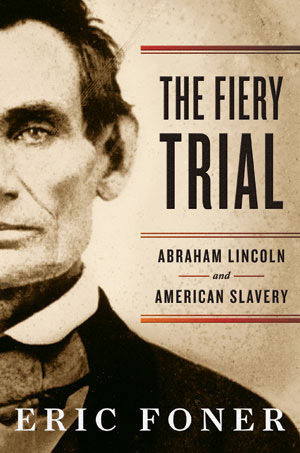 Perhaps as an unintended consequence, historian Eric Foner, in his compelling book “The Fiery Trial: Abraham Lincoln and American Slavery,” expertly confirms the Georgia Historical Society’s pioneering statement: slavery was at the center of our country’s great disunion. I say unintended because Foner set out to show the evolution of Abraham Lincoln’s ideas and policies on the issue of slavery, and to place the anti-slavery movement in a different light than some other Lincoln books. In so doing, he also showed the inter-relationship between slavery and all other questions of the time, and how slavery went from a concern of a minority to become the majority concern. In 1860, anti-slavery sentiment was in an upsurge. The newly-birthed Republican Party with Abraham Lincoln as its nominee managed to cobble together a voter coalition that include virulent nativists and recent immigrants on the central platform that slavery should not be extended into Kansas and Nebraska. Lincoln’s nemesis Sen. Steven Douglas sponsored the Kansas Nebraska Act, which allowed “popular sovereignty” or settlers to vote on the issue. The Kansas Nebraska Act infuriated Northern public opinion, and solidified the Republican-led coalition leading to Lincoln’s 1860 presidential victory. The question of slavery had become the central issue of the day. During the campaign, Lincoln made firm, and sometimes sweeping, condemnation of slavery, but not in the abolitionist tradition of immediacy. Lincoln, always cognizant of the broad balance of forces in the country and of building majoritarian politics, did not want to alienate all Southern opinion during this period, especially on the border states of Maryland, Kentucky, Delaware and Missouri. He advocated gradual abolition, not immediate. He also said slave-owners should be compensated for their loss of property. He was a supporter of colonizing American slaves – either to Africa or South America. Lincoln was passionate about inherent “natural” rights of all men, including Blacks, but did not support voting and civil rights for Blacks – slave or freed. Lincoln also promised not to touch the “peculiar” Southern institution, hoping that each slave state would gradually see the superiority of free labor. Despite his willingness to compromise in 1860 on established slavery, but not on the extension of slavery, the Southern slave owners were outraged by Lincoln’s election and the obvious unity of public opinion in the North. They knew despite the accommodating Lincoln, the slavocracy’s iron grip on the federal government had been broken. The slavocracy refused to recognize the election results. South Carolina was the first to secede on Dec. 20, 1860. By the time of Lincoln’s inauguration in March 1861, six states had seceded and the Confederate States of America had been established. On April 12, 1861, South Carolina’s militia opened fire on the federal Fort Sumter. The Civil War began, and so did the further evolution of Lincoln’s views on not only the institution, but the slaves themselves, and black equality. Foner sheds a different light on Lincoln than perhaps other books by his peers. He strips away the tendency to deify him, and in so doing shows even more the profound leadership and humanity of the 16th president. It certainly was “political genius” to appoint a Cabinet of your rivals, but it was also pragmatic party politics to reward different factions of the party for unity sake. The author has a deep knowledge of the topic having published and edited about a dozen books on the subject and time period, including “A Short History of Reconstruction” and his first book, “Free Soil, Free Labor, Free Men: The Ideology of the Republican Party before the Civil War” in 1970. Philip wrote volumes on the history of the American labor movement and edited a five volume collection on the “Life and Writings of Frederick Douglass,” available through International Publishers. Moe became the president of 1199, New York health care workers’ union, and Henry, the president of the Fur and Leather Workers. Eric Foner dedicates The Fiery Trial to his uncle Henry. In this reviewer’s opinion, it’s a fitting tribute. 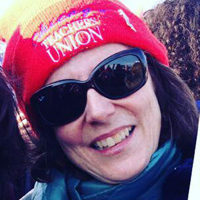 Teresa Albano was the first woman editor-in-chief of People’s World, 2003-2010, leading the transition from weekly print to daily online publishing and establishing PW’s social media presence. Albano has been a staff writer for People’s World covering political, labor and social justice issues for more than 25 years. She traveled throughout the U.S. and abroad, including India, Cuba, Angola, Italy, and to Paris to cover the 2015 United Nations Climate Change Conference. An award-winning journalist, Albano has been honored for her writing by International Labor Communications Association, National Federation of Press Women and Illinois Woman Press Association.